Ready to get real about building a life path you actually love? One that gives you the freedom to soar and be your most amazing self? The life path you’ve always dreamed of, but don’t dare strive for? Ya, I get it. I’ve been there. I remember being keen to feel more fulfilled by the hours, minutes and moments that filled my days, but having no clue where to start or if it’s even worth making the effort to strive for. By getting to know who you really are and what you really want from life, you consciously fill your days with more people, projects and visions that bring you higher levels of joy, happiness and laughter. By ditching the status quo, and dealing with the inner junk that stunts your growth, you'll be freed to finally become the version of you that's always wanted to soar. Only outside of the cage, can the bird even consider flying. Learning to care for yourself and fill your own cup of self-love is the primary tool to build healthy and authentically connected relationships with others. Deep, heart-felt bonds are what make life worth living. Fulfillment in found when every day you are taking the steps on your journey consciously, authentically and eagerly. Your positive contributions, affects you, but also your community and the world at large. How can you take your first steps today? Discovering the new life path for you can be tough, but no worries, I have a road map. Pssst…. I know a secret detour. Enter your information below to be added to the weekly You Choose the Way newsletter and instantly receive a this FREE handy workbook. 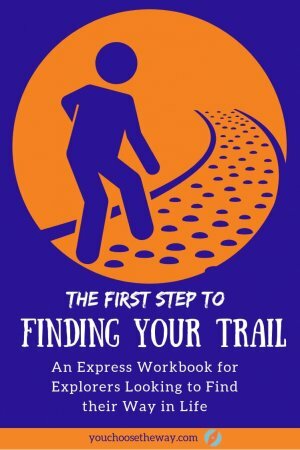 The First Step to Finding your Trail is a super helpful ebook with activities to help you take the first few steps on your journey of self-discovery. 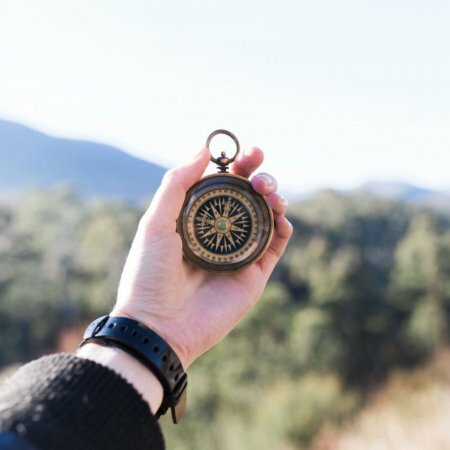 By getting you know yourself a bit better, you can already start taking steps towards a life path that better suits the bold adventurer that lies within you. Be aware: this might be a bumpy ride, but I can assure the journey will worth every second.